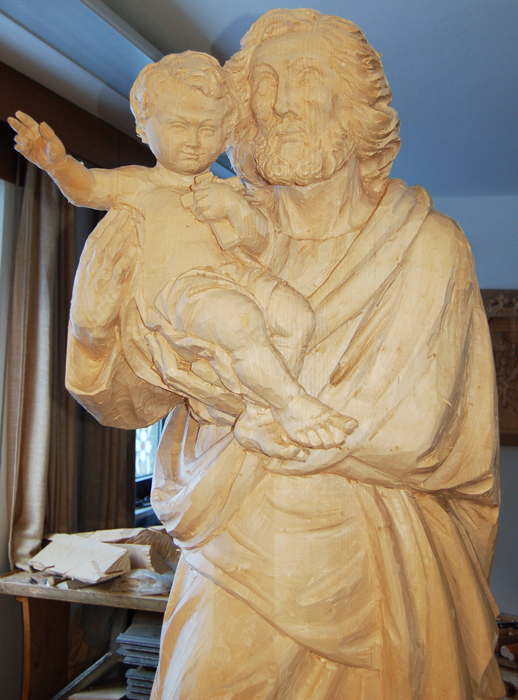 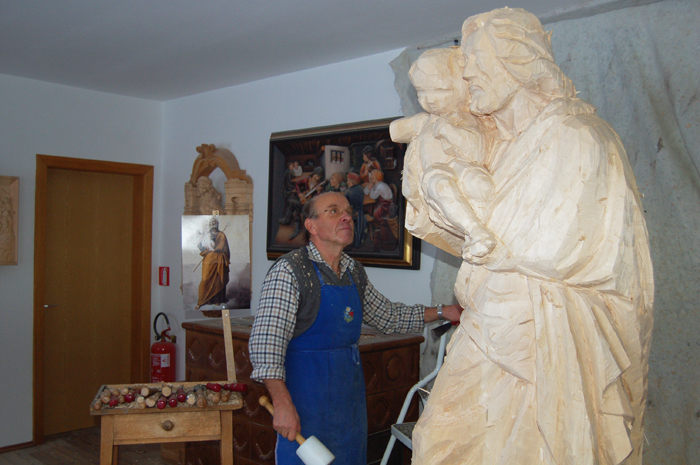 The customer, an Italian parish church, wanted a sculpture of St. Joseph looking upwards, with the Holy Child and the lily. 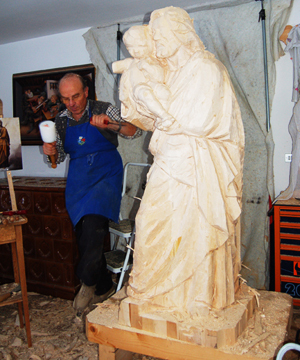 In order to realize the work, Demi Art masters relied on the images supplied by the customer. 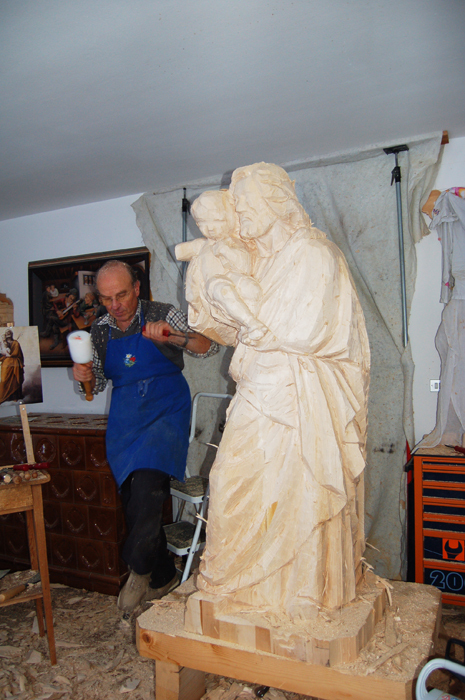 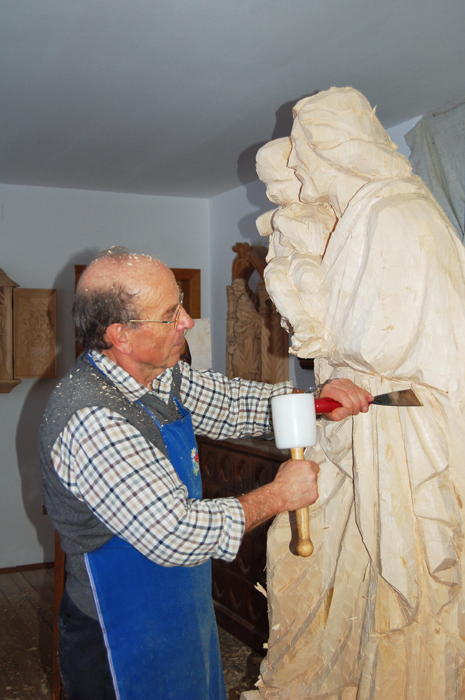 The sculpture, in lime tree wood, is 170 cm high and painted with light oils.